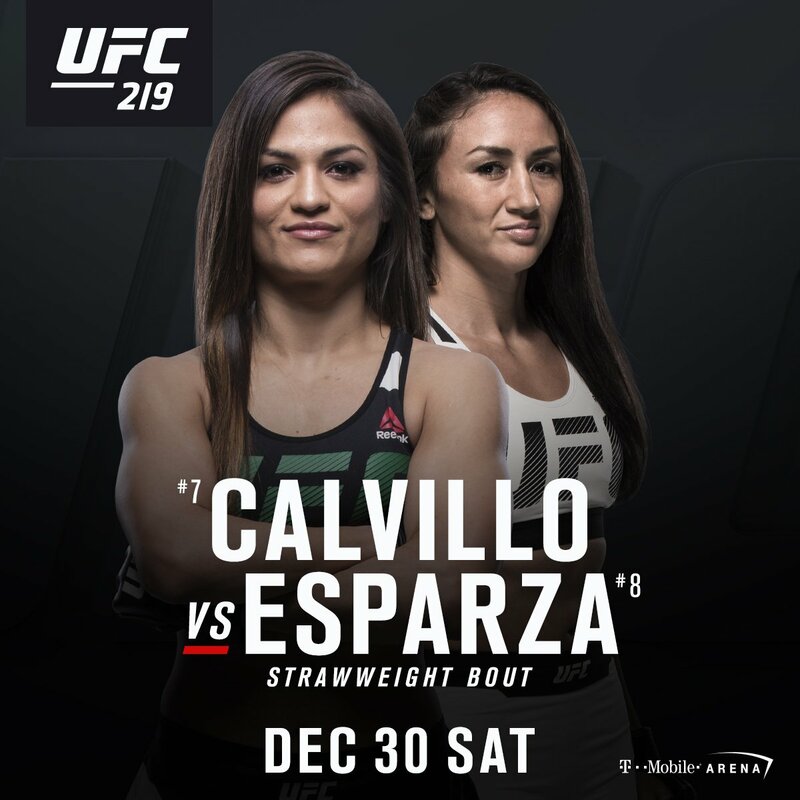 UFC 219 features two excellent ladies match-ups both on the main card tomorrow night. 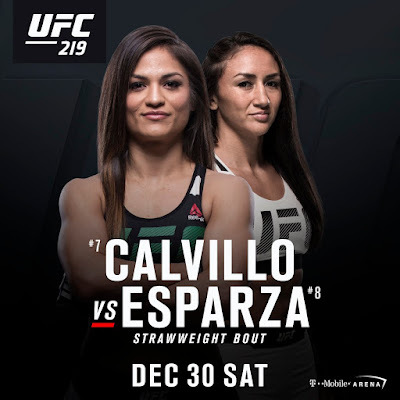 First up, Cynthia Calvillo (6-0) will throw down with Carla "Cookie Monster" Esparza (13-4). Then in the main event, Cris Cyborg (18-1, 1 NC) will defend her featherweight title against Holly "The Preacher's Daughter" Holm (11-3). 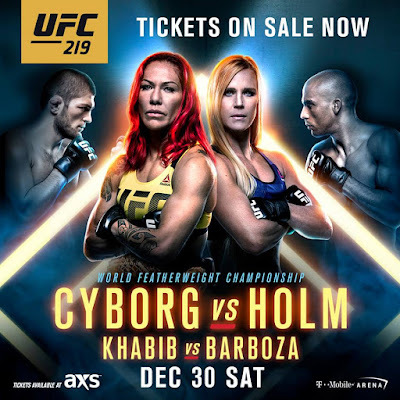 Watch all the action from the T-Mobile Arena in Paradise, Nevada or live on PPV starting at 10 PM ET. Good luck ladies! Photos courtesy of the UFC.